"Protection Standards for Nuclear Power Operations" means what? The Environmental Protection Agency (EPA) of the United States is a full blown oxymoron when it comes to protecting U.S. residents from the danger of increased exposure to ionizing radiation. That's the kind of radiation that comes from natural sources like Uranium and the sun, as well as unnatural sources like Uranium mines, nuclear weapons, and nuclear power plants (even when they haven't melted down like Fukushima). The EPA is presently considering allowing everyone in the U.S. to be exposed to higher levels of ionizing radiation. In 1977, the EPA established levels of radiation exposure "considered safe" for people by federal rule (in bureaucratese, "the regulation at 40 CFR part 190"). In the language of the rule, the 1977 safety standards were: "The standards [that] specify the levels below which normal operations of the uranium fuel cycle are determined to be environmentally acceptable." In common parlance, this became the level "considered safe," even though that's very different from "environmentally acceptable." "Acceptable by whom? The environment has no vote. The phrase "considered safe" is key to the issue, since there is no "actually safe" level of radiation exposure. The planet was once naturally radioactive and lifeless. Life emerged only after Earth's radiation levels decayed to the point where life became possible, in spite of a continuing level of natural "background radiation." 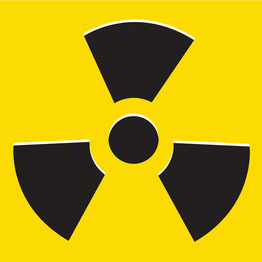 The reality is that there is no "safe" level of radiation exposure. In January 2014, the EPA issued a very long proposal (in bureaucratese, an "Advance Notice of Proposed Rulemaking") to consider raising the "safe" radiation levels established in 1977. According to the EPA, the proposal "does not propose revisions to the current regulation, but is being issued only to collect information to support EPA's review." The public comment period on the EPA proposal -- titled "Environmental Radiation Protection Standards for Nuclear Power Operations" -- has been extended to August 4, 2014. Comments from the public may be submitted online at regulations.gov, by email via docket|AT|epa.gov Email address">a-and-r-docket|AT|epa.govEmail address, as well as by hand, fax, or U.S. mail, all listed on site.